Many of you must know that all things in this world are made up of tiny particles called atoms. It was a scientist named Marie Curie who discovered two of the strangest kinds of atoms and the fact that they send out tiny “bullets” of energy all the time. She called this action “radioactivity”. It was one of the most important discoveries of modern times. Maria Sklodowski (who later became known as Madame Curie) was born in Warsaw, Poland, in 1867. Better known as “Manya” in those days, she was the youngest of five children. Her parents were both teachers. Her mother died when Manya was very young. She and her sister Bronya had to find jobs to support the family. Manya was very talented and won a gold medal after completing her school studies. She was just 16 years old when she went to Paris to study science at the Sorbonne and changed her name from Polish “Maria” to French “Marie” because she felt it would be easier for her to settle down in a new country if she had a French name. She was one of the best students in her class. She worked very hard, often living on just bread, butter and tea because she had very little money. Marie studied physics and mathematics at Sorbonne and received her masters' degrees in both subjects. 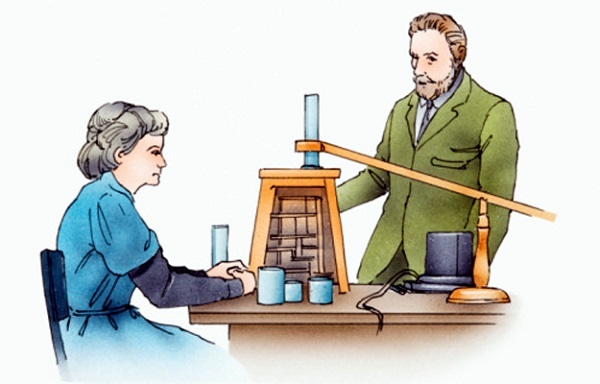 She remained in Paris after graduation and started research on magnetism. She married Pierre Curie, who had been one of her professors, after completing her science course. A. Henri Becquerel, a friend of the Curies, had been doing research on the properties of uranium. He talked to Pierre and Marie about his work and they too became interested in the subject. Marie set about investigating the effect, which she named "radio-activity" for her Doctorate research. Working together, it took Marie and Pierre four years to isolate the radioactive source. Marie named it radium. For the discovery of radium, Marie and Pierre won the Nobel Prize in Physics, considered the greatest honour in the world, in 1903. They shared the honour with A. Henri Becquerel. Pierre died three years later. Marie was asked to teach in Sorbonne as director of the Physics Laboratory in place of her husband. There had never been a woman director or even a woman teacher at the Sorbonne before. Marie continued her work on radioactivity and discovered two new radioactive elements. She realized later that what they had discovered earlier was not pure radium and it was necessary to separate it from the other materials with which it was mixed. But that was a very difficult thing to do. She succeeded after many years and long hours of hard work. She was awarded the Nobel Prize once again in 1911, for Chemistry this time, for this remarkable achievement. It was considered a very important and significant step in the world of science. Marie’s entire life was spent working for science. She fell ill because working closely with radioactive materials damaged her blood. She knew about the risk. But that did not stop her from working because she realized how important her work was. After her death her ashes were kept in Pantheon, a special museum in Paris, to honor her because she had spent her whole life trying to know and learn more, without stopping to think of herself. Or what she herself might suffer. Once again, Marie was the first woman to be honored this way. 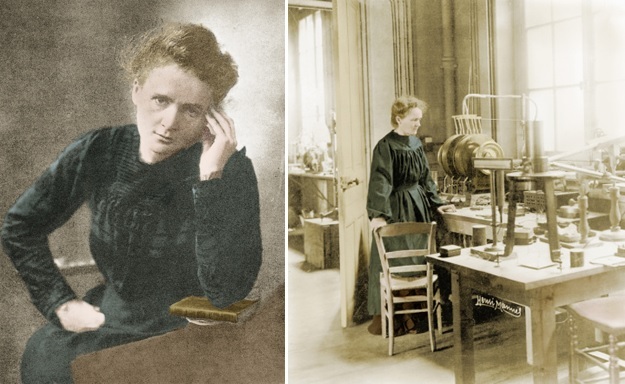 Irene Curie, the daughter of Marie and Pierre, was a famous scientist too. She carried on Marie’s work with her scientist husband Frederic Joliot. They also became Nobel laureates later in life.